Have you ever heard of Canyoneering, When In Cebu? This awesome new outdoor experience will surely make your heart race! Canyoneering or “Canyoning” literally means going through canyons. It is often associated with technical descents — those that require abseils (rappels) and ropework, technical climbing or down-climbing, technical jumps, and/or technical swims. Canyons that are ideal for canyoning are often cut into the bedrock stone, forming narrow gorges with numerous drops, beautifully sculpted walls, and sometimes spectacular waterfalls. 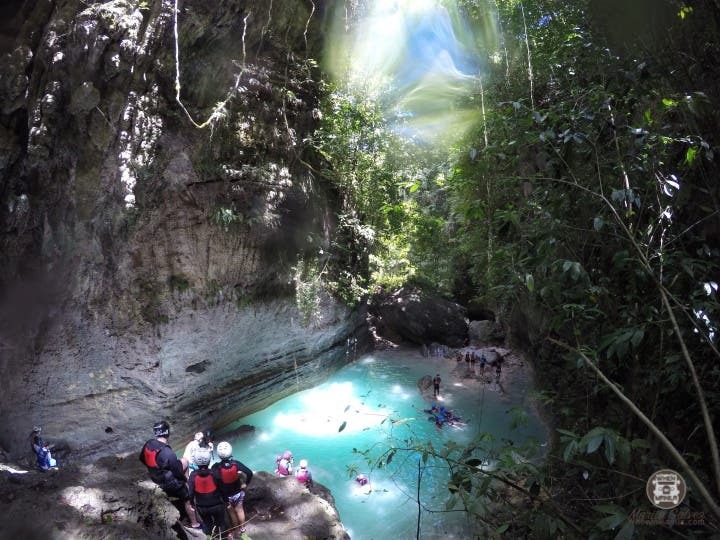 Canyoneering in Badian, Cebu has only been recently discovered by tourists. Their beautiful rock formations and crisp blue waters are aesthetically pleasing but what really got tourists hooked is the sport that goes along with it. Where can we go Canyoneering? Badian, Cebu is located in the southwest of the Cebu island. It is 1 town away from Moalboal, Cebu. 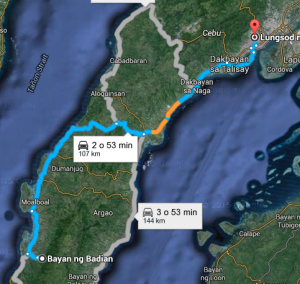 I went to Badian Cebu twice in a span of a month. First with my friends then after a week, I took my family with me. That was how much I enjoyed it! The Canyoneering experience in Badian, Cebu is truly one of a kind. For your understanding, you are travelling downstream through the Kanlaob River. You will see a lot of waterfalls on the way: 3 to be exact. They are named by the number as well! The first, second and third waterfall. The end point would be Kawasan falls where you can rest, recover, and enjoy a meal you deserve after all the physical activity! Should we hire a travel agency or do it ourselves? I love backpacking. It’s a great way to experience the culture of the place you’re going to. I recommend backpacking the second time in a destination so you’d have a clearer guide for yourself and your companions. 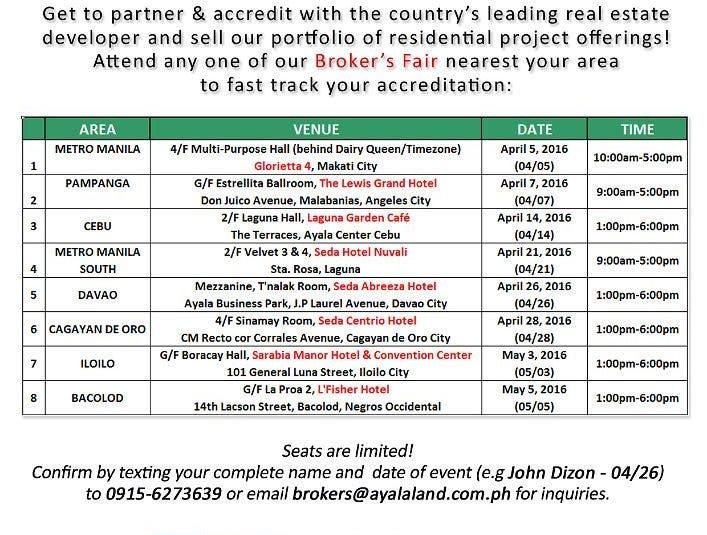 I didn’t know Cebu that well, so I canvassed for tour guides and packages. From my research, it astounded me that the rates of the tour packages and when I backpack are almost the same! There were a lot of entrance fees, habal habal rides, and transits I had to consider, not to mention my food and accommodations. Happy Juanderer Inc. is a travel group that people were buzzing about. I heard a lot of good reviews about them so I contacted them immediately. They were so friendly and informative with the whole trip. They made sure that me and my group were in good hands. The best part about it was, we just needed to show up at the meet up place and they took care of EVERYTHING. Our van, driver, tour guides, entrance fees and even our food! For a detailed review of my whole Cebu trip, read it here. Since I went Canyoneering twice that month, I learned a lot first hand. What to do and what not to do. Well–I’m not stealing all of the credit since the Happy Juanderer team was very informative. The guides that they hired for us were also very helpful with facts. 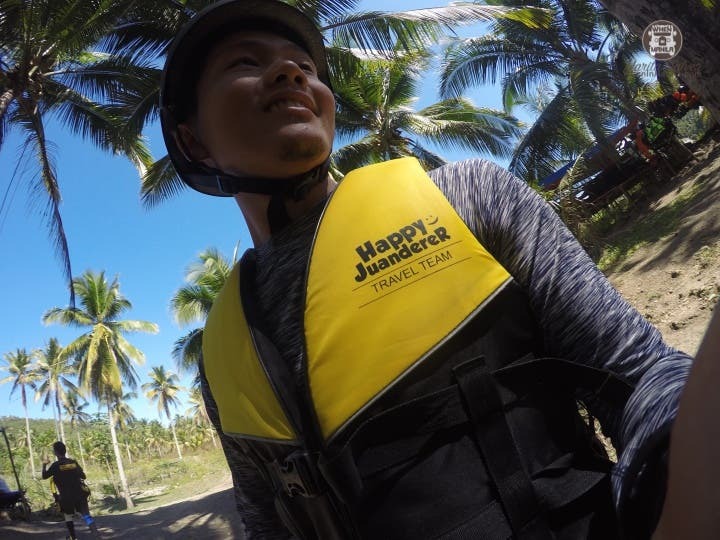 So yeah, I with the help of the Happy Juanderer team, learned a few tips that I wanted to share with you guys if ever you’d like to experience Canyoneering yourself. Continue to the next page for more fun! LOOK: UST Paskuhan 3D Video Mapping Is A Must Watch!